The thought of my sisters killing children made me physically sick. The thought of them helping other people, or forcing them, to take poison, was hateful. I couldn’t believe that they could do such a thing. But if they had? I hoped they were dead as well. When my family gathered on Thanksgiving Day, five days after the deaths, we still didn’t have any definitive word. My mother, Barbara Moore, said the only thing she was worried about was Carolyn and Annie’s re-entry into society after all that had happened. I said I didn’t think she needed to worry about that right then. The following Monday, November 27, we read that Annie had been shot. Later that day we received official confirmation from the State Department that Carolyn and Annie were dead. Carolyn’s son Jim Jon (Kimo) was never identified. The news that Annie was shot was liberating in some respects. “Maybe Annie knew,” I wrote in my journal. “Maybe she was trying to escape. Maybe she didn’t poison people. Maybe she refused. So she was shot.” We wanted to believe that at least one of my sisters had resisted. This was not the case. 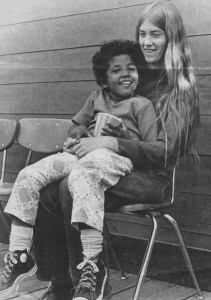 Odell Rhodes, an eyewitness, stated that Judy Ijames and Annie Moore brought the vat of poison to the stage in the pavilion (Awake in a Nightmare, 1981).Another eyewitness, Stanley Clayton, said that Annie used force to inject the unwilling with poison (The Children of Jonestown, 1981). But a third eyewitness, Tim Carter, reported that he saw Annie in Jim Jones’ cabin, with a number of other Temple leaders who were making last minute arrangements, as the deaths were occurring (Unpublished notes, February 1979). This would mean she was nowhere near the pavilion. I never thought people would line up to be killed but actually think a select group would have to kill the majority of the people secretly, without the people knowing it. The way I don’t know. Poisoning food or water supply I heard of. Exhaust fumes in a closed area (carbon monoxide) I heard was effective while people are asleep. It would be terrorizing for some people if we were to have them all in a group and start chopping heads off or whatever. This is why it would have to be secretly. She seemed to believe that Jim Jones made all their good work possible. As his personal nurse in Jonestown, she was always nearby. John Jacobs, co-author of Raven (1982) with Tim Reiterman, discovered an undated note that Annie had written to Jones in which she apologized for being abrupt with him. I just wanted for you to know that I do not mind being your nurse and there is nothing more I would rather be. You should not feel guilty for having me watch you. I would rather be around you than anyone else in the world. From her earliest correspondence to her final letter to the world, Annie praised Jones. I want you who read this to know Jim was the most honest, loving, caring, concerned person whom I ever met and knew… His love for humans was insurmountable… His hatred of racism, sexism, elitism, and mainly classism, is what prompted him to make a new world for the people—a paradise in the jungle. How did Anna Banana—the comedian, prankster, artist, musician—come to decide that killing the children would be saving them, in word if not in deed? It is a question without an answer. Annie seemed to remain her effervescent self, at least in letters she sent to us. 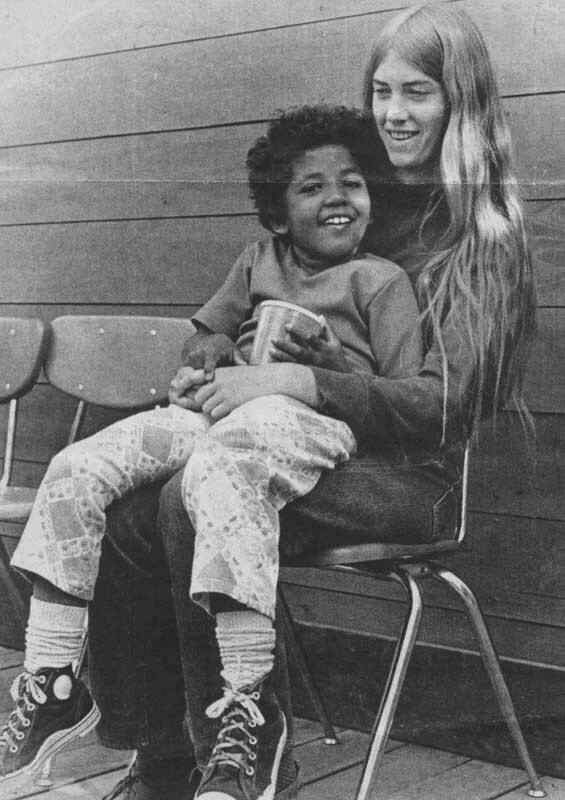 She was always herself: at home in community college, in the hospitals where she worked in Ukiah and San Francisco, and in the Jonestown clinic. A former Temple member who had roomed with her in the Santa Rosa dorm told us that, “Annie was one of the few whites who wasn’t afraid of black people.” She made people laugh. Whatever comes, comes, so goodbye. I know you are a true and loyal comrade and I’ll always know it. I wish you could be here longer. It has been very rough lately for us all but we’ll all keep pushing. I’ll come say hi to you on the radio more. I am sorry you have to go but I know you will do the best job. Jim loves you very much. From Annie. There is no answer, there is no explanation. Brainwashing assumptions and psychoanalytical theories fail to do justice to the existential issues posed by the life and death of Annie Moore. Polarities of good and evil are inextricably intertwined in her life. Yet we continue to love her. “I miss Annie still, and so many others, as we all do,” wrote the friend to whom she gave her goodbyes. Yes, we miss Annie still. (Rebecca Moore is a professor of Religious Studies at San Diego State University. She has written and published extensively on Peoples Temple and Jonestown, including her most recent book Understanding Jonestown and Peoples Temple (Praeger, 2009), and an extensive description on the Temple appears at the World Religions & Spirituality Project at Virginia Commonwealth University. Last modified on February 14th, 2018.